Ghoulam BELHOCINE, Sandy B, Joerg Fliege, Michael Moceri, Peter, Stef, Pufcorn, Tom Moslavac, Tony Langmach, Jakub Klawiter and Adam Killian like this. Dennis Schubert, mʕ•ﻌ•ʔm jeSuisatire bitPickup / [italic] ~ irony, Lotte Mondblum, Yngwio Barnable, Playground, Miruin, Schorsch, Kai Lücke, Vera Johanna Jandt, Gunter, Waithamai Dragonqueen, Ecky H, [[ Sonnenschein ]], 3of14, Don Krypton, Michael Vogel, PyroLagus and RuJo like this. Daniel Bierstedt, Ted and Theaitetos (テアイテトス) like this. I tried to find the source of this quote.https://www.sott.net/quote/394 - that s all. It doesn't seem to be reliable. This is a very frank quote, I would like to translate it into Russian. But i need to confirm its authenticity before distributing the translation. It's true is substance, but likely not an actual quote. That is possible to translate. Good find, @ivan zlax! That looks like a "smoking gun" link, but in these days of 'deep fake' videos, it's hard to know what is really true. That looks like a "smoking gun" link, but in these days of 'deep fake' videos, it's hard to know what is really true. In any case, deep fake technology is monopolized by the United States. No one except the IT giants controlled by the State Department and the NSA could have made such a high-quality fake. If this is a deep fake - then this is some sort of exposure of yourself i think. No, I do not think it's a deep fake. I'm only pointing out that it's hard to be sure these days. On the other hand, recently it seems there is no longer much effort to hide the corruption in politics, so Pompeo very likely did make that quote. @Max Strube ...and what is the problem? isn't it a legit question? Learn how human beings actually function would be my advice. Patrick Schaaf, Martin Seeger, Martin Pluntke, Petr Machata, Alexander Vollmer, hck, Mick Schmidt, Christoph S, Rainer Nagel, Holger Schauer, Andreas Jellinghaus and Michel Bretschneider like this. we were very sorry to hear that you crashed into the ground while using our "Bind Dragon" (TM) scroll. During the investigation and with the description you provided after your revival (we are also sorry that reincarnated as Gorilla due to the use of our "Ban Death" (TM) scroll) we discovered a small spelling error we made when adapting the spell for red dragons and their tendency to fly higher than the human breathing permits. Attached you find a new updated "Ban Death" (TM) and "Bind Dragon" (TM) scroll to reimburse your expenses and we also offer you one free "Polymorph Human" (TM) scroll if you decease from any black magic against us. Also we credit you with 25.000 points in our Frequent Caster program. How do the CRM letters that Boeing sends out look like? „Your EazyCurze™ binding to your familiar will end in 10 days, you can make it last longer at a monthly rate of 8 ordinary souls or one virgin soul. Remember to start paying before the last day, losing the binding will result in immediate disembodiment. @Andrea Borgia "Bewitching Overly Eager Industrious Necromancers Group"
morgonas and Dave Sutton like this. c_l_a_p_i_c_o and Claude like this. Christoph S, Martin Seeger and Pierre Baumann like this. Das Schild zu lesen ist wohl Teil der Therapie. When I was a student an 'anti-vaxer' was someone who bought Sparcstations. Christoph S, Kai Bäsler, Martin Seeger and atarifrosch like this. David Thiery, Visle, Amanda Gordon, Paul Gatling, Michael Nutt and Tony Langmach like this. Malcolm Smith ill., ‘Imagination’ magazine, 1951. Rasmus Fuhse and Tony Langmach like this. David Thiery, Rasmus Fuhse, Christof Harper, Rasha Kamel, DeepThought and Max Kostikov like this. You get the same thing from fluoroscopy. Then you get leukemia. OK, before my bandwidth disappears for a bit... one last featured song from my Swamp-Driving Music playlist. 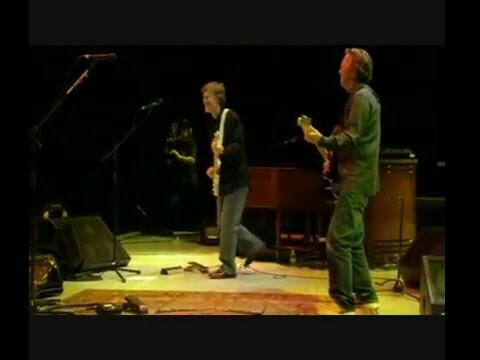 Been through it a few too many times now, but standing out is the amazing Clapton/Winwood concert (live at MSG). I'd been thinking of the individual skills/sounds of Clapton (Cream, etc.) and Winwood (Traffic, etc.). But one of the most unique, amazing albums of the classic rock era (like The Wall, Tommy, and Sgt. Pepper) was IMM, Blind Faith. And the two principals just happen to be these guys, playing their parts of their song, live here. Pretty amazing, really (IMHO). Maybe timely too. docnederlands and morgonas like this. SejaDia, murdeRED dreams GrandWizardOfZOG and Amanda Gordon like this. IF these assertions have been proved, it is absolutely shocking, yes. * (about the US DNC leak) : " That attack was thought to have been perpetrated by Russian-backed hackers." Journalism is about proven facts, not "thoughts"
DNC Leak was never proven to be perpetrated by anyone. In fact evidence points to someone on the inside. Not Russians not Wikileaks. Seems to me that they are hankering to pin this all on Assange. I will wait for proof. He can be both a reckless troll and a persecuted journalist. The two are not mutually exclusive. Rasmus Fuhse, Rasha Kamel and Tom Moslavac like this. Sie schreiben, dass es nicht unbedingt eine gute Idee ist, die Beete mit gekauften Pflanzen zu bestücken. Vor drei Jahren haben ein Doktorand und ich in den großen Gartencentern rund um Brighton als bienenfreundlich gekennzeichnete Pflanzen gekauft: Zum Beispiel welche mit dem „Perfekt for Pollinators“-Logo der royal Horticultural Society. Da sie in riesigen Gewächshäusern herangezogen wurden, dachten wir uns schon, dass sie mit Pestiziden behandelt sein würden. Wir testeten sie und natürlich waren sie belastet. Fast jede Pflanze, die wir testeten, hatte ein oder mehrere Pestizide in sich. 70 Prozent enthielten Neonicotinoide, das ist ein Gift, das in enger Verbindung mit dem Bienensterben steht. burning water and Christoph S like this. Crazy, Foryouwhynot IB, Christoph S, robcaminovolare and (((Till))) like this. Die deutsche Schauspielerin Hannelore Elsner ist am Ostersonntag im Alter von 76 Jahren gestorben. Familienanwalt Matthias Prinz bestätigte entsprechende Meldungen. Jürgen Christoffel and morgonas like this. David Thiery and morgonas like this. Hello Federation! Sorry I've been absent. shifashah17, James Cowan, Tony Langmach, Aline, Schorsch, Paul Johnston, Kai Lücke, Michael Warburton, Holy Noise, morgonas, Frederick Wilson II, Tom Moslavac, Paul Ennnn, kuchinster, Pufcorn, Charlie Kravetz, Emmanuel Florac and DeepThought like this. There's only one thing better than visiting a tropical island - living there. Such a really nice view & place @Dr. Cassone & welcome back..
Christoph S, Dave Higgins and DeepThought like this. Enormous monolithic structures weighing as much as 25 tons are tilted, rotated and wiggled across a room by a single person in a new experiment by researchers at MIT, giving us a look into how the process might have been carried out by ancient peoples. “Walking Assembly” uses concrete masonry units (CMUs) to demonstrate how ancient knowledge could still be used to this day “to better inform the transportation and assembly of future architectures,” the creators explain. morgonas, Don Krypton, Dana Dodge and Nate Bohman like this. morgonas, Don Krypton, Thomas Mertens, Dana Dodge and Nate Bohman like this. I firmly believe very few people want or should have #kids. The rest are pressured into it biologically or socially against their will or basic common sense. Rasmus Fuhse, KAOS and Matthew writes scifi like this. Biology is like mass-production. If a few items are malformed, this is not bad for biology at all. Biological pressure is where it's at, man. Without it, this would be a sterile rock. The species that work that way don’t last long. Bingo Brian. Our purpose is not to be perfect economic/social units. Thanks to our uniquely over-developed self-awareness and abstract reasoning abilities, our purpose is whatever we make it out to be, there aren’t any absolute in this regard. @Hypolite Petovan That's hilarious! But not remotely accurate. @Hypolite Petovan We are not rational decision-makers; we only think we are. We make decisions using only emotions, and then rationalize our decisions after the fact. Check out Thinking Fast and Slow for more. You're right, which means our purpose can also be made up after the fact. Like saying our purpose is to have kids when we just gave in to biological/social pressure. Agreed. I see no evidence of purpose to anything besides what we impose on things. Lots of social pressure experienced here. Just this weekend, so many parents asking my wife and me: "Why don't you have kids? ", "When will you finally be having kids? ", "How can you live without kids?" What if not having kids were not just a decision but a biological issue? How can people be so thoughtless to say this to someone they barely know? Because "this is the way things should be". Sorry about that, stay strong about what you both really want.